Much work is needed to enhance the quality of road surfaces across the North Inner City. Both Minister Paschal Donohoe and I have been meeting local groups and residents’ associations, who are greatly concerned about the condition of local roads. These groups have expressed their anxiousness about how poor road surfaces affect pedestrian and child safety on our local roads and streets. Therefore, I am pleased to report that I have secured funding of €1.7m for road and footpath improvements across the North Inner City. With respect of the Clonliffe and Ballybough district, re-surfacing of Clonliffe Road, Ballybough Road and Russell Avenue will take place this year. When these works are scheduled to begin, I will ensure local residents are notified well in advance. As part of the Government’s response to the Mulvey Report, An Taoiseach, Enda Kenny T.D. directed the Garda Commissioner and the Tanaiste and Minister for Justice, Frances Fitzgerald T.D. to begin work on refurbishing Fitzgibbon Street Garda Station. Since then, I have been, as Chairman of the Dublin Central Policing District, liaising with local Minister, Paschal Donohoe T.D. and the Tanaiste to ensure that Government plans are advanced as quickly as possible. Minister Donohoe as Public Expenditure Minister has been working with the Tánaiste and senior Gardaí to finalise the cost of the works involved and the nature of the works that will take place. Our local Minister, Paschal Donohoe T.D. has insisted that all preparatory works take place this year, including the design, tendering and procurement of a potential contractor. Both of us are determined to make sure these works are advanced as quickly and efficiently as possible across the coming months. We will work to keep you updated of progress on the refurbishment project. Further to previous local updates Minister Donohoe and I have provided, Irish Water is finalising possible engineering solutions to reduce the risk of future flooding in the vicinity of Jones’ Road. As you will be aware, significant surveys of the existing drainage infrastructure in and around the Croke Park area was undertaken by Irish Water engineers last year. Further surveys, have taken place in recent weeks, of individual properties that have been previously affected by flooding and the information gathered from these surveys has been feed into the work to develop options that could be implemented to reduce the future threat of localised flooding of homes. Both local Minister, Paschal Donohoe and I expect to discuss the emerging options with Irish Water in the coming weeks and we will liaise further with individual residents and local groups to ensure this information is shared as widely and as comprehensively as possible. The Planning Department of Dublin City Council rejected the application to construct a student accommodation complex on the lands at 194 – 202 Clonliffe Road. Planning permission was refused on two separate issues. Firstly, the City Council found that the proposed development would be contrary to the Architectural Heritage Protection Guidelines and to the proper planning and sustainable development of the area. Effectively, the applicant failed to adequately justify the demolition of a protected structure. Secondly, the application did not suit the local area given the proposed density, height and design of the buildings to be constructed. I very much welcome the decision of the Planning Department. Following the lodging of the application, I arranged for local residents to meet with officials in the Planning Department to discuss the particulars of the application and to identify concerns of local residents. Despite the recent decision not to grant planning permission, it is my expectation that a further planning application will be lodged in the coming months. I was contacted, some weeks back, by residents concerned about development works taking place on the Mater Dei campus. I advised people at the time that works were being undertaken by Dublin City Council to provide for temporary accommodation for 50 families who are currently experiencing homelessness. Further questions were put to me and accordingly I have sought the relevant information and will therefore, do my best to provide clarity on the matter. Upon receipt of an offer by the Archdiocese to the Dublin Region Homeless Executive (DRHE), which was accepted, the DRHE Director issued a notice of assignment to inspect and certify building works for the conversion of an existing Mater Dei education building into a transitional accommodation complex for 50 families. No change of planning use was required, I am advised, as the works constituted an emergency as provided for under Section 179(6)[b] of the Planning & Development Act, 2000. Responsibility for the facility lies with Dublin City Council but the day to day management will be led by Crosscare. These works are taking place in order to provide a somewhat ‘normal’ family environment for 50 homeless families. Prior to the facility opening next month, the Dublin Region Homeless Executive will arrange for local residents to visit the facility and ask any questions they have of City Council and Crosscare officials. Ensuing that children, homeless through no fault of their own, have an opportunity to enjoy somewhat of normal family life, during these difficult times is something we can all agree with. If you have any questions or queries on the matter, please contact me at raymcadam@gmail.com. • Block A, to be located at the end of an extended Sackville Gardens facing onto Ardilaun Road, will be five storeys high. • Block B, to be located to the rear of the existing buildings on Ballybough Road. • Block C, to be located on the site of the derelict cottages on Sackville Avenue, which are due to be demolished. • Block D, to be located at the corner of Sackville Avenue and Ballybough Road. • It is envisaged that 38x car-parking spaces will be provided in an underground car-park. 1. Monday, May 22nd 2017: 10am – 12noon: Charleville Mall Library, North Strand, Dublin 3. ➔ The plans will be on display for one week, until May 29th. 2. Wednesday, May 24th 2017: 4pm – 6pm: Ballybough Community Centre, Ballybough Road. ➔ The plans will be on display for one week, until May 31st. At the information sessions, Dublin City Council officials including the design team, local area housing and community staff to engage with residents who have questions or queries about the redevelopment. Dublin City Council completed the first spray as part of this year’s weed removal programme on May 5th last. The second spray will commence on Monday July 24th next, weather permitting. It normally takes two weeks for the chemicals to take effect on the weeds. Inspections by Public Domain officials will take place in the coming days and arrangements will be made to have areas revisited where the spraying is considered to be incomplete. 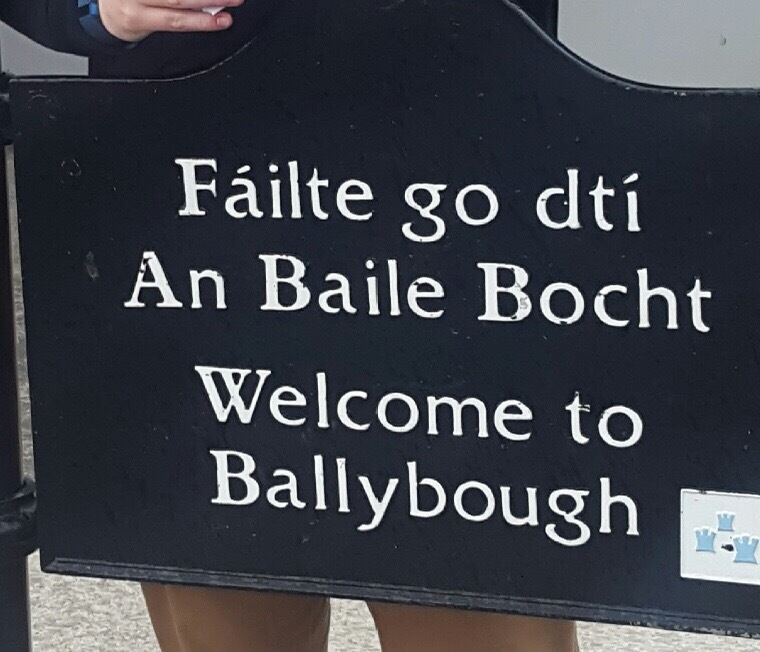 This entry was posted in Ballybough, Clonliffe Road, Dublin City Council, Fine Gael, Housing, Transportation. Bookmark the permalink.